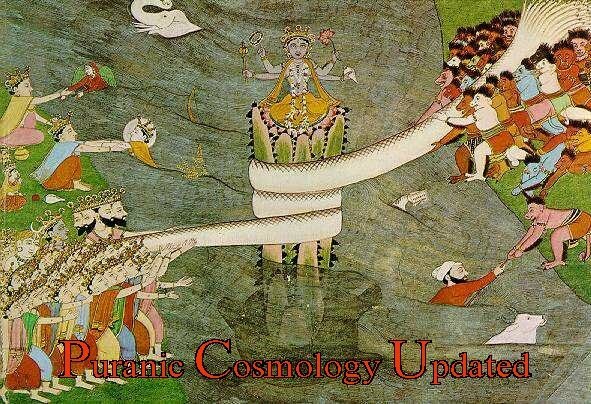 PURANIC COSMOLOGY UPDATED: The Perennial Dispute: Is Astrology Science or Superstition? The Perennial Dispute: Is Astrology Science or Superstition? Science or superstition? This could be the introductory query on what The Future Realisation (TFR) exhibition consists of, to be held in Delhi at Mati Ghar of the Indira Gandhi National Centre for the Arts, from 1st January 2015. To further clarify, it is an applied cosmology to distinguish it from that of the physical sciences which is largely theoretical and in many cases speculative. In addition, the public is likely to confuse the contents of TFR with astrology as it is practiced in India today. Therefore, a clarification needs to be made at the outset. TFR displays the entirely new Indo-Centric Cosmology; there is a certain language commonality between astrology and this new cosmology; but the similarity ends there. This new approach to the sacred sciences uplifts astrology to a higher level; while not dismissing it; in the process TFR reveals unknown aspects of the art. Periodically the debate arises in the national discourse: Is astrology science or superstition? To illustrate, on 9.12.2014, an article appeared in The Hindu editorial page ‘Tampering with Scientific Temper’, by Peter Ronald deSouza. While The Future Realisation is not centred on astrology as such, it does adequately answer this question because of the language – the Zodiac – common to both. In India an astrologer is approached almost exclusively for predicting a person’s future; or else for ritualistic purposes, to ascertain the most auspicious timing for events. But this is only a small part of its true purpose, which is a body of higher knowledge for initiates – now, unfortunately, lost in India. Nonetheless, this process called the Journey in the Rig Veda continues to be the mainstay of all the systems and traditions that lay claim to this single inspirational source, even though most of the hymns remain a mystery. In ancient times the zodiac, astrology’s basic alphabet, conveyed a body of higher knowledge; hence it formed part of the sacred sciences not only in India but in all the Mystery Schools of the ancient world. Forecasting the future was only a small aspect of the practice, though an important and necessary ingredient insofar as astrology is a study of Time which comprises past, present and future: the unity of Time, in the Vedic Age called trikaladrishti – or the vision of the three times. As an element of higher knowledge its threefold aspect cannot be ignored. But the sanctity of the art resided in the fact that its main purpose was to foster a perception based on unity. And this was to provide a basis for the whole field of life, to ultimately reach a harmonious fulfilment. To return to the question, Is astrology superstition or science? The answer lies in the manner we approach the art; we may call it the philosophy of astrology. We do not expect a person unschooled in physics to pass judgment on relativity or quantum physics. But for some strange reason we accept that a physicist, for example, is expected to be qualified to pass judgment on a sacred art, though he has never been schooled in the subject. And by ‘schooled’ I mean the purification process a true astrologer must pass through before any of the more arcane knowledge is revealed. This is often referred to as an initiation. When that intense discipline is undergone, usually covering many more years than the amount put into obtaining a degree in physics, the adept is able to penetrate the mysteries and come upon answers that science has never been able to provide. The reason is simple enough where the sacred sciences are concerned: The foundation of a true astrologer/cosmologist is a consciousness of unity. Its establishment is the very first step – and it is the longest and hardest. Once attained it becomes the anchor or axis for the seer; he or she can then extend beyond from that innermost centre to expound on the grandeur seen from that tiniest point, ‘no bigger than a thumb’, as the Upanishad describes the individual soul. But this begs for some clarification because the term is not easily understood. ‘Unity’ in the context of a sage or seer of the true Vedic sort involves the ability to expand one’s consciousness to embrace this side and that – i.e., beyond the event horizon of contemporary physics. This is unity for the Rishi: the ability to move across thresholds that science cannot penetrate. This barrier is admittedly out of bounds for the scientist because we know that the mathematical foundation of all contemporary sciences breaks down at that threshold; whereas, the seer crosses over the ‘horizon’ as no scientist can do, precisely because he or she is graced with a perceptive capacity that permits the construction of a bridge between here and there. That is the true unity-consciousness, differentiating it as we must from the common understanding: i.e., a consciousness that sees ‘the unity between all things’. To be precise, on this side of the demarcation that experience is more accurately known as Oneness. The sage sees this ‘oneness’ upon which basis he or she can say: We are THAT. We are all One in an indivisible unity. The factor that allows the sage to possess a unity-consciousness and bridge the subtle and the physical is the discovery of the true function of gravity, whatever the name or the description given to the experience in earlier times. We know that the stumbling-block the physicist faces today in the discovery of a Theory of Everything (TOE) is precisely gravity. Understandably, because gravity is that very bridge. Gravity is the cosmic property that bridges the subtle and the physical. It is the carry over from the other side to this; hence to understand its true nature the physicist must employ a different mathematics, a system that is intrinsically unifying. In the new cosmology this system is called the Mathematics of Unity; in Vedic Mathematics it is reducing a number to its ‘seed digit’, as in the following: 2014: 2+0+1+4=7. Thus 7 is the year’s seed digit. But to be borne in mind is that this truly Vedic realisation does not form a part of the modern schools of Yoga, or even of the schools of philosophy that have arisen after the time of the Buddha. This answers another question in the national discourse: Why impose Vedic Mathematics in school curricula today, when we have much more ‘advanced’ systems and, above all, the omniscient computer? It is because one of the most important elements in this ‘obsolete’ system is the focus on ‘seed digits’? On the ‘other side’ whole tones are the key to the mysteries discovered there. That is the mathematics that can be employed to understand how gravity operates, how it bridges the subtle and material – and therefore the role of Time because the contraction of gravity is actually Time on the other side of the event horizon. TFR reveals with precision how the revelation of a simple formula, 9/6/3/0-1, can prove the connectivity between the subtle and material through the application of the formula in a series of twelve births that on this side, according to the birth dates of these twelve individuals, display the control of Mahakala who himself bridges the subtle and physical; that is, TFR reveals that our material dimension is the extension of the One. On the other side, Time is contracted in quanta of triads expressed in the formula as 9/6/3/0. But when the Zero is reached in the descending compression, by the intensity of this compaction, the Zero-Womb of fullness gives birth to the One. Thereafter the flow is sequential – 1 to 2 to 3, and so forth. 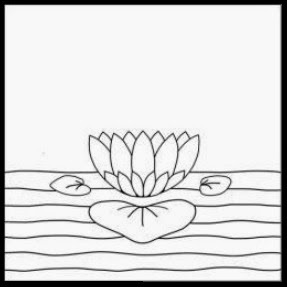 This very message was given by Aurobindoavatar from the beginning of his joint mission with the Mother in the central square of his own symbol, called the Lotus of the Avatar, with the formula 9, 6, 3 in its petals and leaves. From that compacted bija-point – in sound-vibration it is the primordial Om – the physical manifestation evolves sequentially; thereafter, relativity theory steps in, but because of the disconnection physics does not have a foundation in absoluteness, as enjoyed in the Vedic Age, and only relativity lies at the root of whatever our 20th Century has given rise to: wonders of technology, yes, but also the most destructive weapons ever devised by man, an impossibility in the next step of evolution. But if we know the contents of that sacred Seed, we can know where evolution is taking us. That, in a nutshell, is the purpose of The Future Realisation: to explore that tiniest particle containing the divine Purpose that carries us to the next stage of evolution. In this paragraph Sri Aurobindo has described not only the vertical and horizontal ‘directions’, the destiny pattern of every individual, but a pure example of the control of Mahakala is the fact that TFR will be displayed in Mati Ghar at the IGNCA to physically express the same inward turn – three galleries, the innermost being that ‘psychic centre’ of his description. 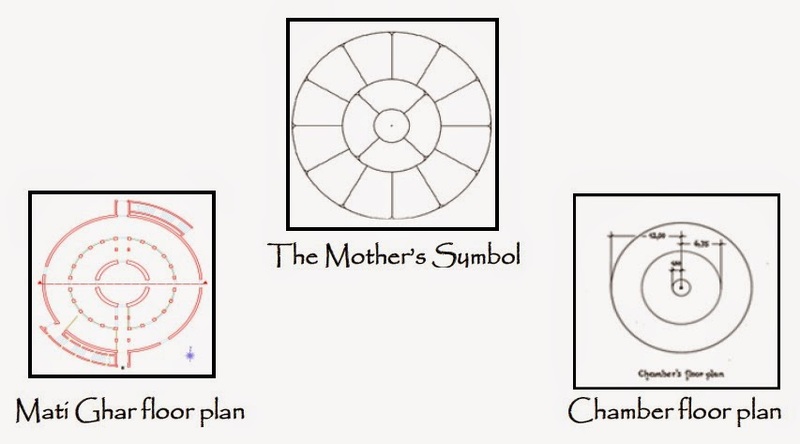 In TFR that ‘circle’ contains the Core of the Mother’s original plan with precise measurements given by her. The convergence of the circumscribing data of the cosmic harmony as captured in the natal horoscope presents a super-photograph of the vastest dimensions to the astrologer-seer, as if it were the individual’s own private 0-1 experience – the reversal from vertical-contraction to horizontal-expansion, or extension in measurable planetary time. This is the key to the birth process lived by every creature that inhabits planet Earth. Reading a horoscope is the same: penetration into the Seed of one’s individual compaction of Time in the space ‘no bigger than a thumb’. From birth that seed-essence begins its extension in and of Time. Therefore those triadic quanta in the Seed, or the content of the soul, are actually lived on this side where conscious awareness is possible, where evolution takes place. The meaning is that each individual incarnation is the image of THAT; and through each soul a seed of That is embodied here when birth occurs on this side of the horizon. Our lives, every second we breathe is the Transcendent experiencing the evolution of Itself in this material universe, on this most favoured of all the planets because its position in the third orbit of the System allows the Law of Three to function, to do what it was created for: it permits the individual to realise That as the sustenance of life and to understand that the purpose of birth is nothing other than to manifest the ultimate, maximum expression of the contents of the Seed on this side of the Horizon. The privilege birth offers is the fact that awareness is a property only of this material dimension, as well as growth into the divine Image. The coming race of gnostic beings differs from mortals of Martanda’s creation because they take birth in full knowledge of their divinity, their divine essence, and consciously participate with the Supreme to give the purest expression in matter to the highest Light in this universe whose number is 9. After all, what is superstition? It is when the light is absent, when, as Sri Aurobindo wrote in the last century, ‘…the body remained but the soul of knowledge had fled from its coverings’. The aim of TFR is to offer a portion of that Light to illumine the path ahead and, above all else, to eliminate superstition – not by throwing the baby out with the bath water, but by introducing a higher synthesising quotient that elevates what has been covered in veils over the ages to the experience of a new Harmony. It is the new principle the Avatar introduced by his tapasya: the truth-conscious Supermind. The Hindu temple as I have stated time and again is the repository of a lost knowledge on the subcontinent. It was conceptualised to preserve the ancient wisdom through a long period of humiliating darkness. In this 9th Manifestation we are destined to emerge from that darkness, never more to suffer regression. It is the special quality of this Manifestation because being the 9th it means that like a foetus in gestation for the past 77,760 years, the Divine Child is finally born. It means that the era of 3 x 3 has finally arrived. Everything we have known until now, even our most luminous seeings and spiritual attainments, will appear unreal and will pale into insignificance with the descent of this Gnostic Light. Regarding the triadic quanta and astrology, here is an example of how superstition, or so it is thought by many, is simply the lack of knowledge because of a condition of incompletion. At the entrance to every Hindu temple we find the Navagrahas. This is one of science’s most conclusive ‘proofs’ that astrology is not a science. And why? Simply because the temple inculcates in each and every worshipper that 3 x 3 = 9 must be the focus, or we could say, the secret support behind the worship, the imprinting that must never be lost sight of. Science claims that this item is proof of the lack of scientific knowledge because astrologers do not know that Rahu and Ketu are not planets. Including them in the triadic presentation is tantamount to the greatest ignorance in their eyes. The importance of keeping the measure alive is in attendance of the solar system to the eye of the observer reaching its own maturity where the Law of Three and the divine Measure of 9 can be integrated into the lived experience of inhabitants of Earth. That maturity was attained in the last century just at the dawn of the Age of Aquarius in 1926. Shortly thereafter, in 1930 completion was reached and the system then expanded to 9 (the planets) and 0 (the Sun). Thus the Navagrahas are the foretelling of the Divine Measure that our solar system would attain centuries ahead, indicating the same expansion for the human species that would then be able to appreciate the greater harmony open to the perceiving eye of humanity. For this to occur the discovery of the Zero was of paramount importance because the count goes from 0 to 9; and this too India has given to the world. But how many in India and elsewhere could have imagined the future that simple unpretentious Naught held in its bosom? Originally configured as the Dot or Point, it was fullness – purnata – and not the shunya of today. This development from Point to the empty Circle tells the history of the decline better than all words. Recently a parliamentarian stated that astrology was the greatest science. He was ridiculed. But every historian knows that astrology was for long considered the Mother of all Science. And according to what is written here, how can we claim that it is mere superstition? Where is the contemporary scientific discipline that can bridge the other side and this? But of course if science remains entrenched in the now stale and exhausted atheist mindset it seeks to impose on students under the guise of the ‘scientific temperament’, the very postulation is meaningless. For these entrenched fundamentalists there is actually no ‘other side’. Then the question to ask is why do they admit that their methodology breaks down at the event horizon if there is nothing other than what we can see and touch on this end of the spectrum? Astrology and the new cosmology deal with Time. It is not a question of the influence of planets (another stick to beat the astrologer with since no such ‘influence’ has ever been detected). Time expresses itself in this solar system through orbits. It is a harmony of orbits that ‘influences’. And they work in triads. This is another indication of the tremendously important stage we have reached as a species: this system we belong to, our ‘extended family’, has finally reached the maturity indicated in the Measure of 9. Until that moment arrived in the last century when Pluto joined the holy family of our solar system, we could never hope to banish superstition forever. But of course there are those in the scientific community who insist on downgrading Pluto to the status of a non-planet. This issue is of no concern. Orbits, triads of 3, this is the only issue, the real issue that informs us we are on the threshold of a very great change. And India stands at the centre of it all. Blessed are her sages that have kept the tradition alive and managed to inculcate, emblazon the 9 into the consciousness of seekers across the ages in attendance of this sublime moment. The exhibition offered to the Delhi public should be visited primarily by scientists, those who hold the entrenched belief that astrology, a relative of this new cosmology, is mere superstition and must be erased from the memory of the nation at all costs. While The Future Realisation is not a display of astrology as such, I repeat, we share a common language. I throw down the gauntlet to members of the scientific community to visit the exhibition and then to participate in a debate on 5 January at 5 PM, on the evidence on display that ought to challenge the mind of anyone believing to have a truly scientific temper. We would like a debate on how various points of this sacred cosmology would be answered by the scientist – or dismissed – such as the connected series of twelve births spread across a century fulfilling with exactitude the formula 9/6/3/0-1. Most will want to brush off the evidence on display as mere coincidence; however, this becomes untenable when that evidence is so voluminous as to render the label ludicrous. Hiding behind this worn-out excuse will only further erode its credibility. The point being made is that to pass a proper scientific judgement on this new Indo-centric cosmology as displayed in The Future Realisation, the scientist has to be thoroughly familiar with its basic tenets. First and foremost he or she would have to dismiss preconceptions and approach the material on face value, so to speak. The methodology and formulations of contemporary science must be set aside. This is a system beyond both science and spirituality. ‘It is something we are searching for. Perhaps not merely searching for, but building. ‘…These positions, the spiritual and the “materialist”, if one may call it so, that are believed to be exclusive…are insufficient, not only because they do not admit each other, but because even admitting the two and uniting the two does not suffice to solve the problem. There is something else – a third thing which is not the result of these two, but something that is to be discovered, which will probably open the door to the total Knowledge. ‘…And as for saying what it is, the other one, the true position? It is so much beyond all intellectual states that I am unable to formulate it. ‘But the formula will come, I know. But it will come in a series of lived experiences that I have not had yet. Get your lost love back with the help of Get lost love back specialist - Moulana Irfan Haider. IF you live in India or Punjab, you should meet Love Vashikaran Specialist in Jalandhar He will help you to get back your love and promise to give you 100% results. Thanks for this information. best astrologer - Astrologer Home .